Hi guys, now the petrol hike up and people was no mood to go out and taste everywhere. Just can be stay at home and wait for eat?! Seems the petrol hike up the price and continue will be effect the food and the price of everything. The hawker will be headache in future, but they can earn a lot. Is now our community headache. Hope that Malaysian can be survive for this change. 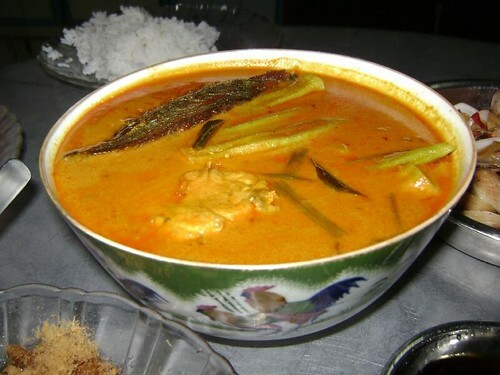 Now I am showing you the curry fish that I bought from the Cargas Cafe, Bayan Lepas(next to my grandma's house). 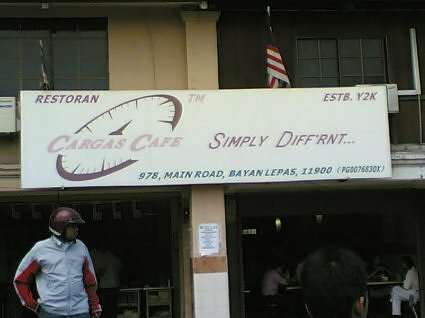 This shop just like the nasi kandar shop at all, but it will not open 24 hours. So peoples need the fresh and come here! I didn't snap for the banner of the shop because it was too many cars in front the shop. This was what I grabbed from Google. Seems this shop is really popular until almost blogger been there before too.